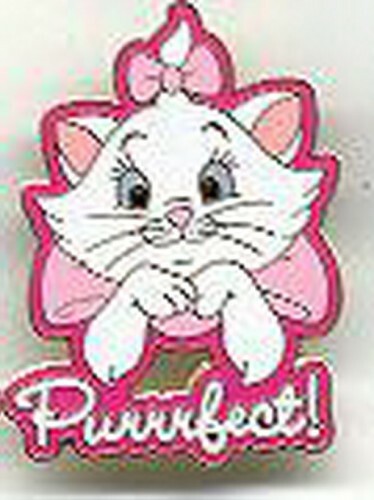 This is pin two of a four pin series depicting Marie from the Aristocats. She is shown on a pink background above the word Purrrfect. I own this pin from when it was released at WDW. Many years ago. I am sizing down my collection.